Property bags are explained in my another article: Property Bags in SharePoint 2013 - Store, Retrieve Custom Configurations , In short: Property bag feature provides a convenient way to store and retrieve custom configurations, instead of having to store them in web.config files. You'll be presented with a window to manage site’s property bag under "Parameters" tab. From here, you can add, modify or delete properties. 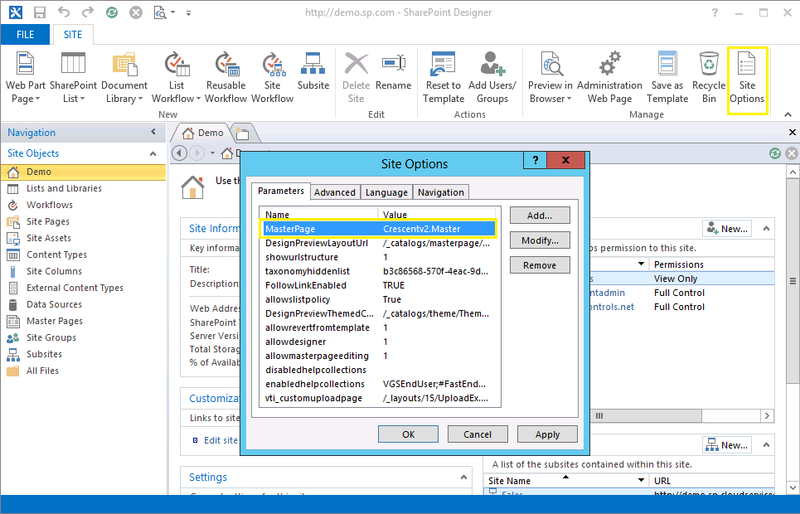 In SharePoint 2007, Its under: Site >> Site Settings >> Parameters tab!